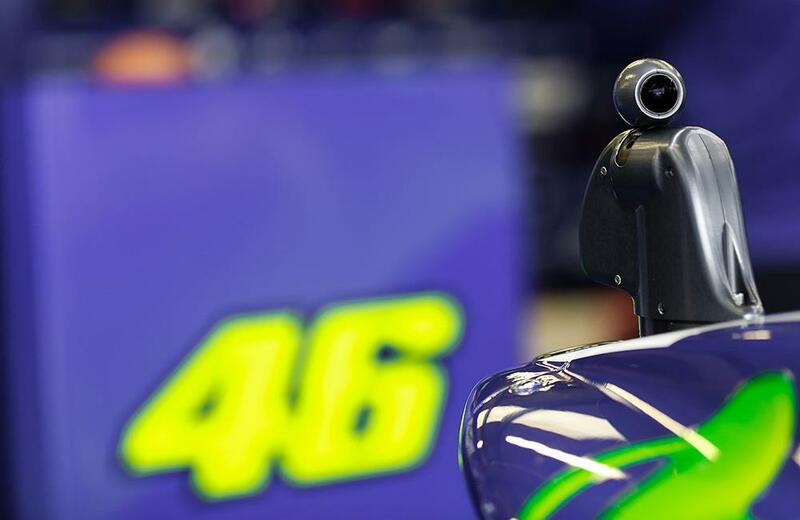 MotoGP organisers Dorna have enhanced their viewing experience with a new 360º gyroscopic camera that attempts to take viewers right into the middle of the on-track action. Being made available to all broadcasters including the UK’s BT Sport, the new camera combines a camera that can pan through a full circle of motion, combined with tracking software that follows the action from the middle of the pack. The camera comes as an evolution of the previous gyroscopic camera that maintained it’s stability in order to show just how much lean angle a modern MotoGP machine is capable of.